PTP/NYC After Dark presents a reading of The Illusory Adventures of a Dreamer by Michael Bradley, directed by Charles Giardina, on Thursday, July 19th at 10:00pm at Atlantic Stage 2 (330 West 16th St.). Admission is FREE. 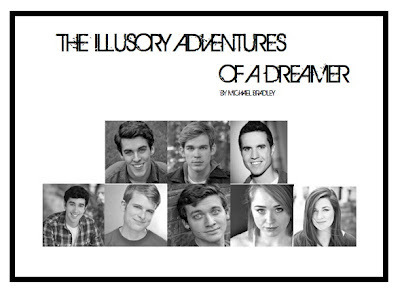 The Illusory Adventures of a Dreamer is a new twist on the Ibsen classic, Peer Gynt. In this story, Peer is transported to 21st century America as he goes on a journey of self-exploration inside his mind. The reading will feature Adam Milano, John Edgar Moser, Preston Maguire, Michael J. Berry, Chris Giordano, Christo Grabowski, Meghan Leathers, and Molly O'Keefe with stage directions read by Gillian Durkee. Perhaps I'm biased, but it's going to be a fantastic night of theater! Come check it out!